Planning Your Dream Natural Building Home Workshop, East Sussex, UK. 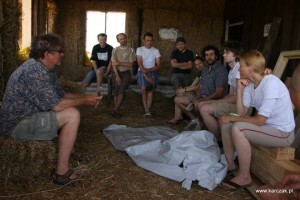 Taught by Antony Dennis and an architect and earthbag author Paulina Wojciechowska. 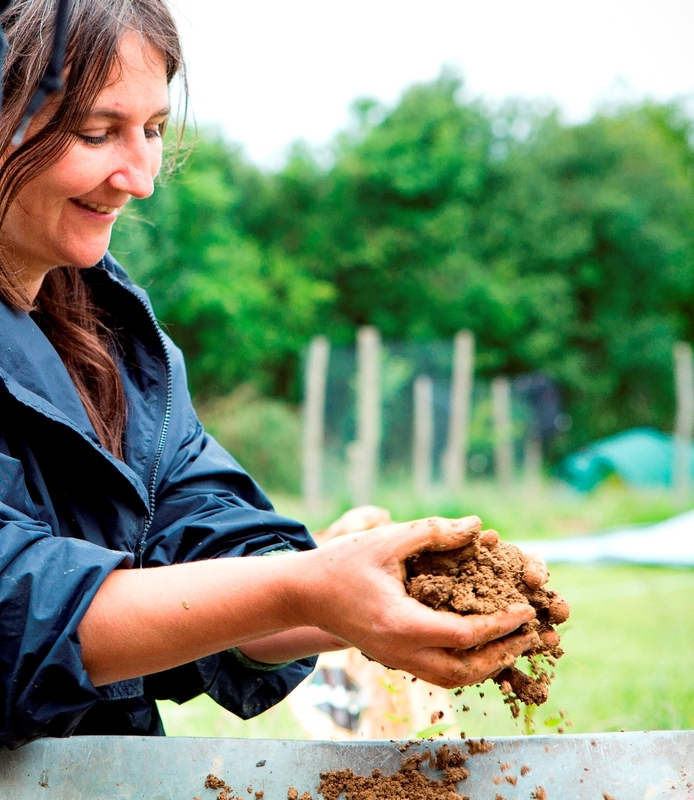 The workshop will be held in a lovely field in the english countryside 30 minutes drive from London Gatwick airport. Throughout the six days, the workshop is 50% presentation and discussion, and 50% hands-on practical work. 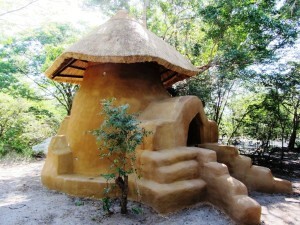 Walls: an overview of natural building wall technologies: straw bale, cordwood, earthbag, cob, rammed earth, old tyres. 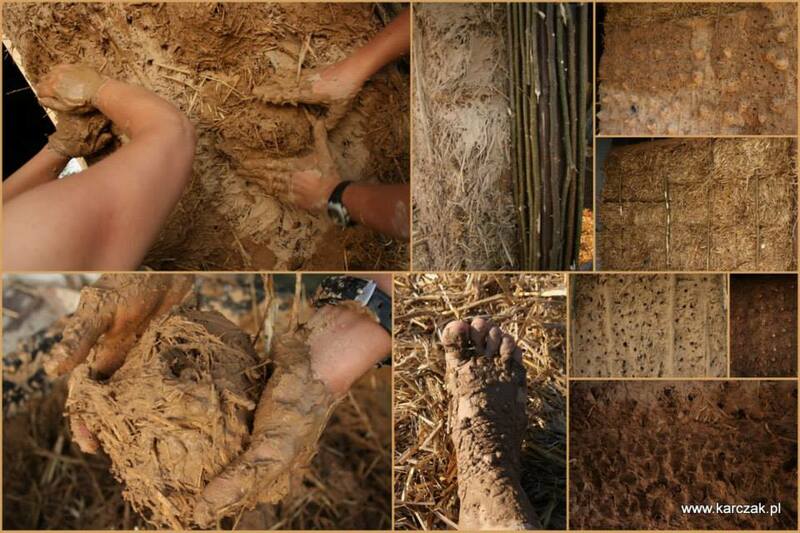 Hands-on experience: on straw bale, earthbag and cob and wattle and daub. 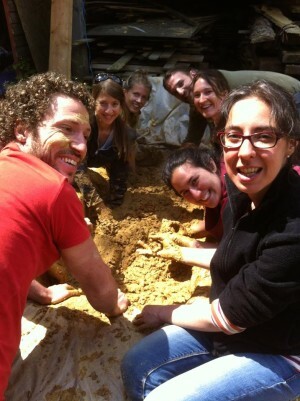 Constructing some of the foundations on the straw bale project that follows this workshop. The price of the six day workshop is £445 per person, or a discounted price of £395 is available if booked by 1st March 2017. 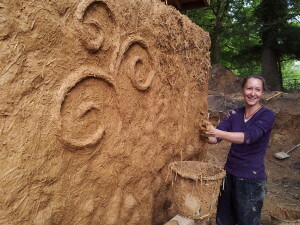 Note that immediately after this workshop, we will run a five day workshop on how to build with earthbags, domes and arches, then a 5 day straw bales workshop followed by a further 6 day course on artistry with clay, more in-depth clay plastering techniques. Children from the age of 8 are welcome to accompany their parent(s) and may participate in parts of the workshop as they wish. No charges are made for children under the age of 16 years. The workshop will be lead by Earth, Hands and Houses Antony Dennis and founder Paulina Wojciechowska, a qualified architect who has over 18 years of experience building with straw bales and earthbags in communities all around the world. The workshop will be held on a farming field, close to Weir Wood reservoir, in Forest Row, which is a 30 minute drive south of London Gatwick airport. You may camp at the farm for £5/night. Days 2-5: from 09:00 to 17:00. Day 6: from 09:00 to 16:00. If you are camping, you are welcome to stay on until the following morning if you wish. This entry was posted in Workshop on December 12, 2016 by Paulina Wojciechowska. A 3 day workshop, 10th – 12th June 2016. Workshop taught by Jarema Dubiel in both Polish and English. Warsztaty prowadzone sa przez Jareme Dubiel sa one blisko w jezyku polskim oraz angielskim. This workshop is held in a beautiful place surrounded by pine forest. The site is near the town of Nowe Miasto, and just 30km from the Warsaw Modlin airport. 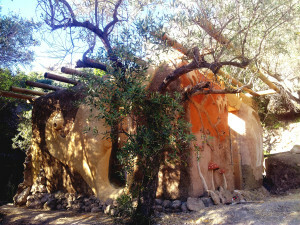 On this workshop site there is a superadobe earth bag dome covered in shingle and a small straw bale house with a green roof. 60km od Warszawy, w lesie niedaleko Nowego Miasta, Plonska. 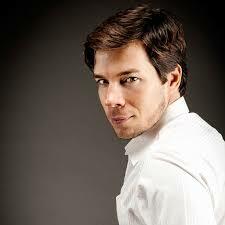 Click here to watch a Youtube video of one of Jarema’s workshops on Polish TV. Tu mozesz zobaczyc film Youtube video w TV. Click here for more details about Jarema. This workshop is a wonderful opportunity to gain hands-on experience of constructing and plastering wattle and daub inside walls. Na warsztatach własnoręcznie zbudujemy i otynkujemy ścianki działowe. This workshop will be mainly hands-on. The theory lessons will back up the practical skills learned and provide the opportunity for more detailed questions to be answered. Warsztaty będą przede wszystkim praktyczne. Część teoretyczna będzie dopełnieniem zajęć praktycznych oraz okazją do zadawania szczegółowych pytań. The price of the three day workshop is 100€. Number of participants will be limited to ensure a good learning experience. Koszt trzydniowych warsztatów: 400zł. Ilość miejsc jest ograniczona, aby zapewnić dobre warunki pracy i nauki. call Paulina on (+34) 611 345 383. There will be a free camping field for people with their own tent. Vegetarian food is included in the workshop cost. It is possible to book accommodation in nearby farms at an additional cost (reservation required in advance. We will send you a list of available places). Zapewniamy: darmowe miejsce do rozstawienia własnego namiotu na terenie gospodarstwa. W cenie warsztatu wliczone jest jedzenie wegetariańskie. Jest możliwość zarezerwowania noclegów w pobliskich gospodarstwach agroturystycznych za dodatkową opłatą (konieczna wcześniejsza rezerwacja. Listę miejsc doślemy zainteresowanym osobom). The workshop will run from 10:00 to 18:00 on each day (10-12.06). You are welcome to arrive the day before the workshop starts and to depart the day after the workshop ends. Zajęcia warsztatowe zaczynają się 10 czerwca o godz. 10.00 i trwają do 12 czerwca do 18.00, najlepiej więc przyjechać w dniu poprzedzającym warsztaty i wyjechać po ich zakończeniu 13.06. This will be more than just an earthbag dome workshop – it will be a wonderful opportunity to enjoy learning and relaxing amongst like minded people, some who may become your friends for life! This entry was posted in Past Workshop on March 20, 2016 by Paulina Wojciechowska. Warsztaty Budowy z Worków Wypełnionych Ziemią Earthbag, Superadobe. A similar but larger dome we built in Zambia in 2012. 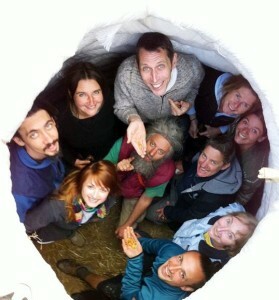 A 5 day Earthbag Dome Workshop. 25th – 30th June 2016.
plastering with clay and lime to protect from UV erosion. Budowa z worków wypełnionych piaskiem, gliną lub żwirem. The price of the five day workshop is 200€. call Paulina on +34 611345383 . Accommodation: there will be a large camping field for those people who have their own tent. Please note that consumption of alcohol and smoking on the site are not allowed due to the remote nature of the workshop location. The earthbag dome workshop will run from 10am to 6pm on each day. You will be welcome to arrive the day before the workshop and to leave the day afterwards. 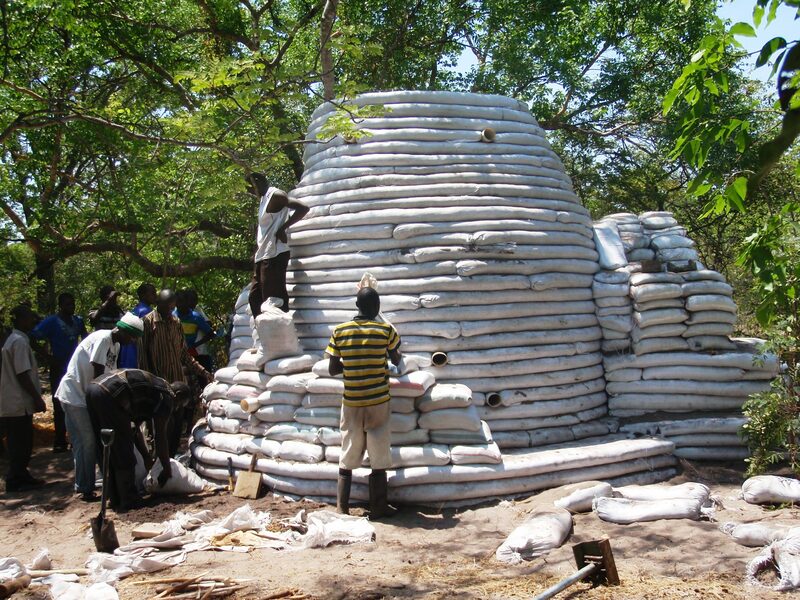 Click here to read more about why earthbag homes are a great construction method to introduce into the world’s poorer, disaster prone communities. This entry was posted in Past Workshop on March 8, 2016 by Paulina Wojciechowska. A larger straw bale structure we made at our Turkey workshop in October 2013. 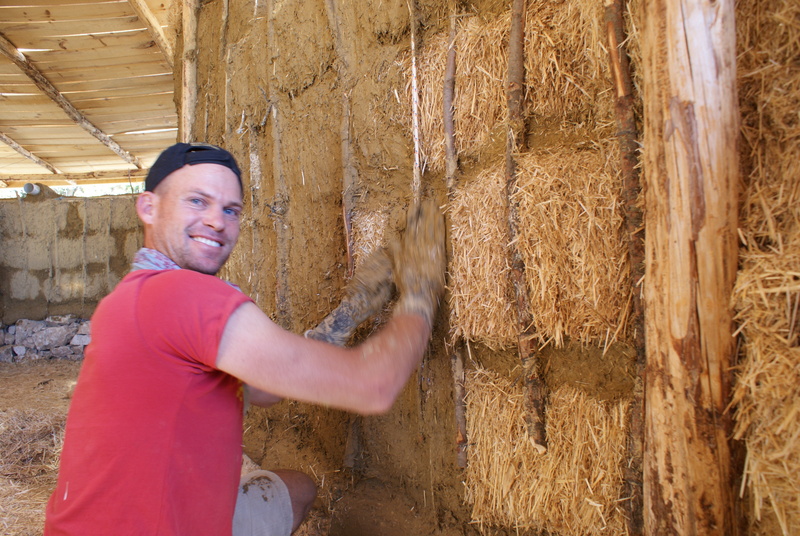 The walls take shape… clay plastering the bale walls. This workshop is set in a very wild and beautiful place, 200m from the cleanest classified lake in Poland, the 5km long lake Hańcza. Here, the neighbours are beavers and storks. 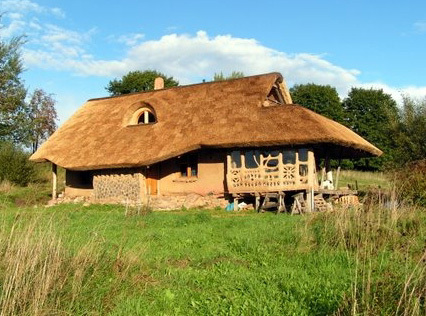 This is also the site of a beautiful straw bale house and Przelomka is also the village of the first straw bale load-bearing house in Poland. Warsztaty sa prowadzone w pieknym miejscu, na suwalszczyznie, nad jeziorem Hancza, do okola lasy i laki. This workshop is taught by Jarema Dubiel, in both Polish and English. Click here to read about food, travel and accommodation for the workshop. Click here to read about more details about Jarema. This workshop is a wonderful opportunity to gain hands-on experience of constructing and plastering a small straw bale structure. Site preparation and building of foundations for straw bale walls using earthbag, stone & lime, including the compression wires. 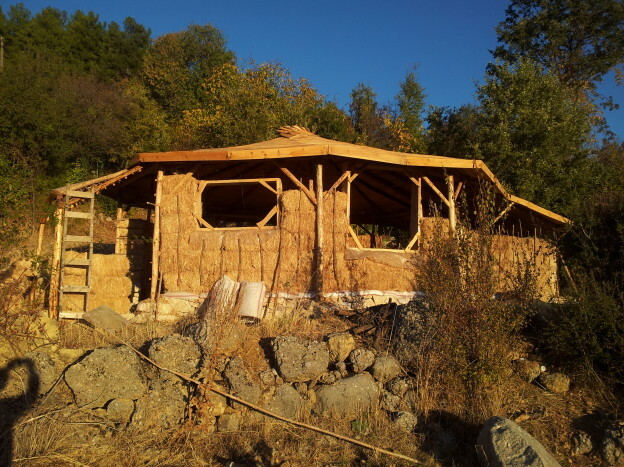 This straw bale workshop will be mainly hands-on, building a small temporary structure out of straw bales, and applying all the different clay plaster techniques. Vegetarian food will be available at an additional cost, payable upon arrival. There will be a large free camping field for those people who have their own tent. Zapewniamy: Darmove pole namiotowe, noclegi w namiotach wlasnych, lub lokalne kwatery, obiady wegetariańskie, wieczorne ogniska. Click here to read more details about food, travel and accommodation for this workshop. Please note that consumption of alcohol and smoking on the site are not allowed. The workshop will run from 10:00 to 18:00 on each day. If you are camping, you are welcome to arrive any time on the day before the workshop starts and to depart the day after the workshop ends. This will be more than just a straw bale workshop – it will be a wonderful opportunity to enjoy learning and relaxing amongst like minded people, some who may become your friends for life! A similar, but larger straw bale structure we made at our Turkey workshop in October 2013. Set in a beautiful olive grove in the rugged mountains near Tarbena in the Costa Blanca region of Spain. Taught by architect and author Paulina Wojciechowska, and Antony Dennis. 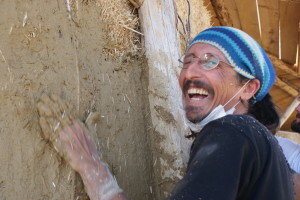 This workshop is a wonderful opportunity to gain hands-on experience of constructing and plastering a real straw bale building that will be used for visitor accommodation, in the beautiful surroundings of our olive grove set in a lush green valley in the mountains north of Alicante. 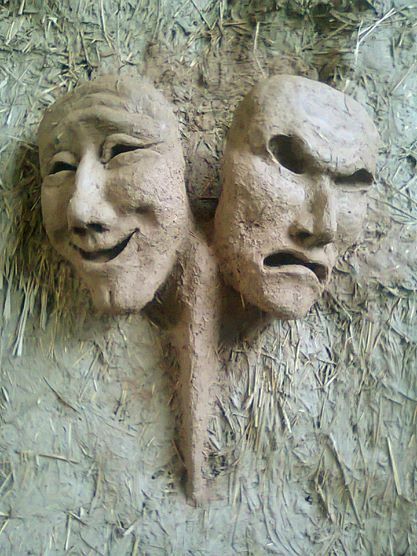 Hands-on experience of all the stages in straw bale wall construction, and in depth theory and practice of applying a wide range of different clay plasters to a real structure. Application of clay plaster to existing brick and cement structures so you can enjoy all the benefits of clay plasters without building a new house from the beginning. Application of lime to protect a naturally constructed building. A variety of methods using in the creation of different internal wall structures. This straw bale workshop will be mainly hands-on, building a small temporary structure out of straw bales, and applying all the different clay plaster techniques to both this and an existing 4×4 metre building which will be used for visitor accommodation at the olive grove site. Theory lessons will back up the practical skills learned and provide the opportunity for more detailed questions to be answered. 340€ per person, or a discounted price of 295€ is available if booked by 1st March 2016. 450€ per person, or a discounted price of 395€ is available if booked by 1st March 2016. Note that we are running a series of workshops at this time in Spain, also covering how to plan your dream natural home, building with earthbags, building a natural floor, and a final workshop combining natural building with meditation, yoga, dance and sensuality. call Antony on (+34) 633 012 477. The workshop will be lead by Earth, Hands and Houses founder Paulina Wojciechowska, a qualified architect who has over 17 years of experience building with straw bales and earthbags in communities all around the world. 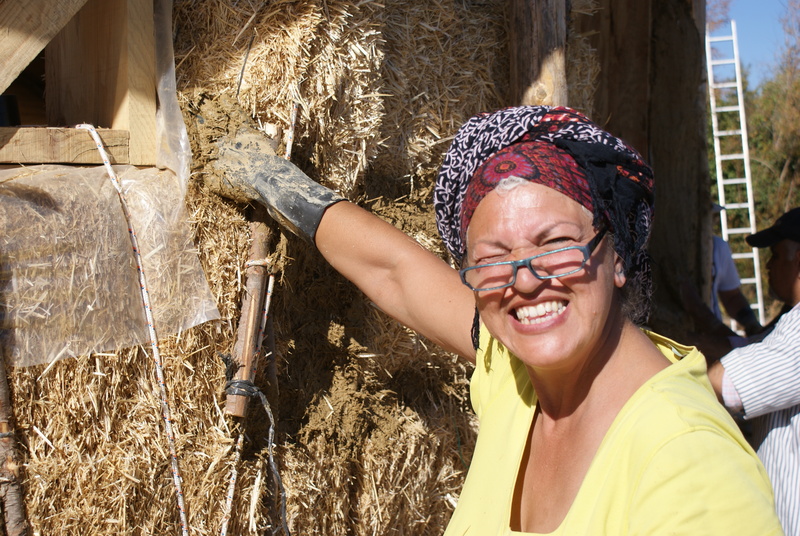 Paulina worked alongside leading straw bale and clay plaster veterans Bill and Athena Steen in 1997-8 and has been involved in running straw bale workshops and designing and building straw bale structures since then. Click here to hear Paulina talk about her experiences. The workshop will be held in an olive grove, 2km south of the village of Tarbena. You may camp within the olive grove for free. The workshop will run from 09:00 to 17:00 on each day. If you are camping, you are welcome to arrive any time on the day before the workshop starts and to depart the day after the workshop ends. There is a rest day on Sunday 15th May. This entry was posted in Past Workshop on December 13, 2015 by Paulina Wojciechowska. 4th – 8th May 2016. The workshop will be lead by Earth, Hands and Houses founder Paulina Wojciechowska, a qualified architect who has over 18 years of experience building with earthbags in communities all around the world. Paulina worked alongside Nader Khalili at Cal-Earth in 1996 and is the author of “Building with Earth”, one of the leading earthbag construction books. Theory of earthbag stucture foundations. Building an earthbag dome from an existing base. Creating earthbag walls using both single bags and earthbag tubes. 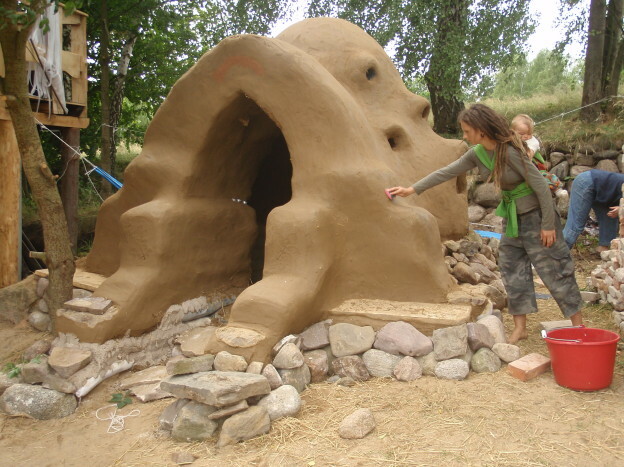 Different techniques using arches and lintels to construct doorways and windows within the earthbag structure. 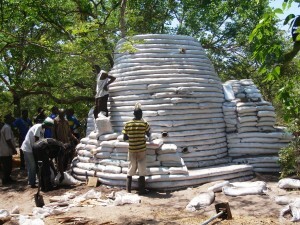 Ensuring the structure is stable through the correct use of buttressing and corbelling based upon the nature of the earth used to fill the bags. Recognizing the clay found on our land and understanding how to use it for building. Preparation and application of the first 2 coats of clay plaster onto an earthbag dome. Understanding of how earthbag domes weather from inspection of a dome built on the same site the previous year. Hands-on experience of repairing weather damage to the earthen plaster on the dome built the previous year. Experience of deconstructing an earthbag dome structure to give additional understanding of the strength of the structure. 340€ per person, or 295€ if booked by 1st March 2016. Numbers on the workshop will be limited to ensure a good learning experience, and we are expecting the allocated places to fill up before the workshop. 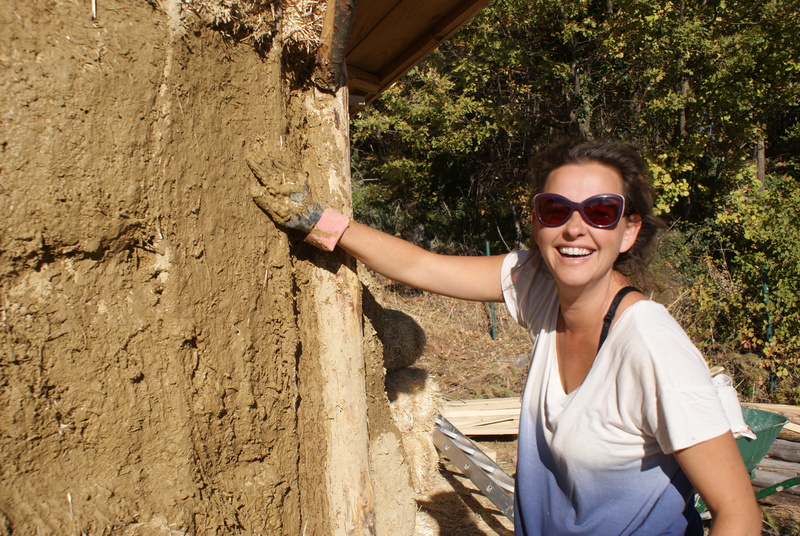 Note that we are running a series of workshops at this time in Spain, also covering how to plan your dream natural home, building with straw bales and clay plaster, building a natural floor, and a final workshop combining natural building with meditation, yoga, dance and sensuality. 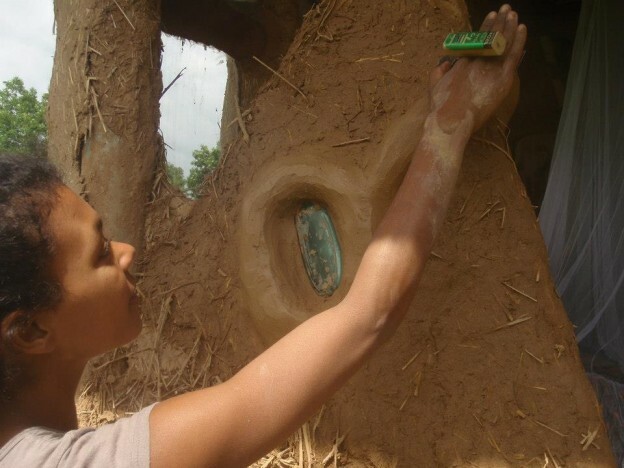 The workshop will be lead by Earth, Hands and Houses founder Paulina Wojciechowska, a qualified architect who has over 18 years of experience building with earthbags in communities all around the world. Paulina worked alongside Nader Khalili at Cal-Earth in 1996 and is the author of “Building with Earth”, one of the leading earthbag construction books. Click here to hear Paulina talk about her experiences. The workshop will be held at our olive grove, 2km south of the village of Tarbena. You may camp within the olive grove for free. Please note that consumption of alcohol and smoking on the site are not allowed due to the remote and mountainous nature of the workshop location. The earthbag dome workshop will run from 9am to 5pm on each day. You will be welcome to arrive the day before the workshop and to leave the day afterwards. This entry was posted in Past Workshop on December 12, 2015 by Paulina Wojciechowska. Monday 25th April – Sunday 1st May 2016. Paulina has designed a dream home which will be built from natural materials at a site in England over the next two years, and the design will be used as a real-life example to illustrate the ideas presented in the workshop. The workshop is 50% presentation and discussion, and 50% hands-on practical work. Guidelines for designing wall structures using different technologies. 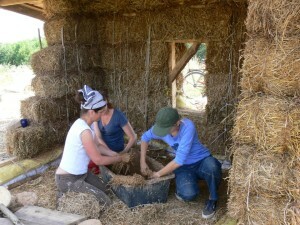 Hands-on experience: building wall structures from earthbags and straw bales. The price of the six day workshop is 450€ per person, or a discounted price of 395€ is available if booked by 1st March 2016. 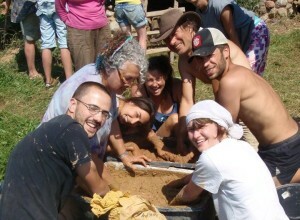 Note that immediately after this workshop, we will run 4 other workshops covering building with earthbags, building with straw bales, building a natural floor, and a final workshop combining natural building with meditation, yoga, dance and sensuality. 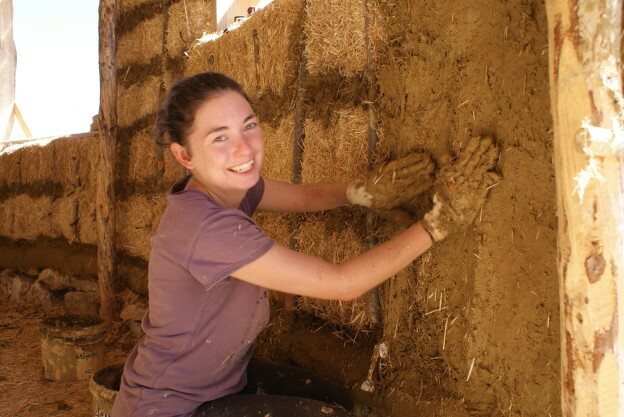 The workshop will be lead by Earth, Hands and Houses founder Paulina Wojciechowska, a qualified architect who has over 18 years of experience building with straw bales and earthbags in communities all around the world. Vegetarian, vegan and gluten free food will be available at an additional cost, payable upon arrival. The food will comprise a self service breakfast, full cooked lunchtime meal, and a light supper. Days 2-3: from 09:00 to 17:00. Day 4 is a rest day, but you will be welcome to use the time to work on your own design projects or experiment with natural building techniques that are of interest to you on the workshop site. Days 5-7: from 09:00 to 17:00. If you are camping, you are welcome to stay on for one or two more days if you wish. This entry was posted in Past Workshop on December 11, 2015 by Paulina Wojciechowska. Laurent is a Feng Shui consultant who will attend and present at the Planning Your Dream Natural Home Workshop in August 2015. Here is some background to his work. While Feng Shui is very often thought to be a tool of interior design, at its core it is a very old wisdom about designing architecture around natural forces. By understanding the natural Chi and harnessing it, any building conceived in harmony with its surrounding can support our lives better. Laurent Langlais, accredited Feng Shui consultant trained in Asia, will explain to us how to link space, time and the people into a holistic form of architecture that accounts for the natural energies surrounding us. He will offer us insights on what designing homes and business with classical Feng Shui can bring us and how it will support all aspect of our lives: relationship, family, wellbeing, career and income. This entry was posted in Background on June 18, 2015 by Paulina Wojciechowska. All the Workshops below are in Poland led and taught by Jarema Dubiel in Polish and English. For more information contact: Antony Dennis, info@earthhandsandhouses.org, or +44 7812 070 413. Warsztaty prowadzone sa przez Jareme Dubiel sa one blisko Warszawy oraz w Przełomce na Suwalszczyznie w jezyku polskim oraz angielskim. Workshops in June at Przełomka, near Suwałki. 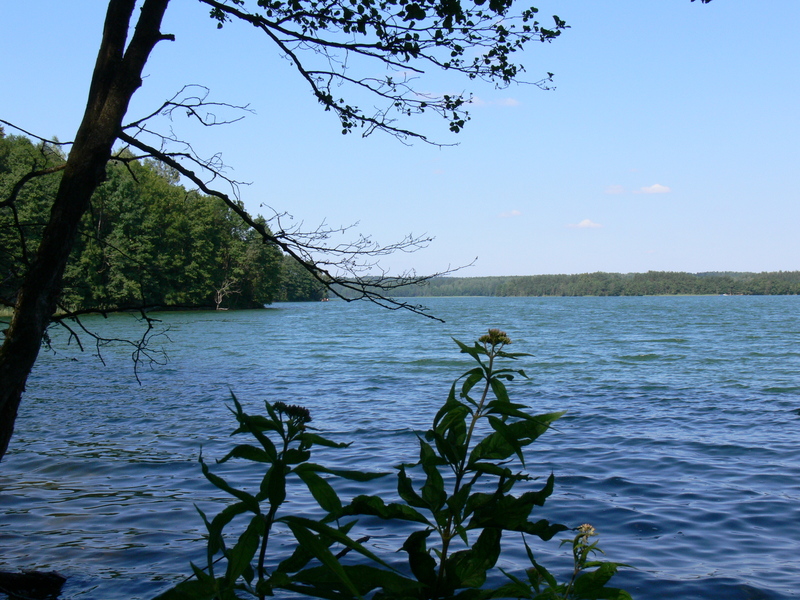 A very wild and beautiful place, 200m from the cleanest classified lake in Poland, the 5km long lake Hańcza. Here, the neighbours are beavers and storks. This is also the site of a beautiful straw bale house and the village of the first straw bale load-bearing house in Poland. Click here to read about food, travel and accommodation for these workshops. Building a dome, plastering with clay and lime to protect from UV erosion. 18-­20 czerwca, budowa z worków wypełnionych piaskiem,gliną lub żwirem. Site preparation, making special foundations for straw bale walls. 22-24 czerwca, budowa z kostki słomianej. Lime colouring, adding the pigments. W kolejnych warsztatach nauczymy się rozpoznawac gline i tworzyc właściwe mieszanki. Nakładanie tynku wstępnego, rzeźbienie sciany, nakładanie tynku właściwego i koncowego. Uzywania rąk i narzedzi. Bedziemy tez przygotowywac klej naturalny, wykorzystywac klej do robienia tynkow koncowych i farby. Location: by Lake Hańcza, Przełomka, ( 30km from Suwalki). Poland. nad Jeziorem Hańcza, w Przełomce. Workshops in August at Kadlubowka. This is a beautiful place surrounded by pine forest. The site is near the town of Nowe Miasto, and just 30km from the Warsaw Modlin airport. On this workshop site there is a small straw bale house with a green roof and a superadobe earth bag dome covered in shingle. 3-5 Sierpnia, budowa z kostki słomianej. This entry was posted in Past Workshop on September 17, 2014 by Paulina Wojciechowska. A two day Clay plastering workshop held in beautiful North-Easterly region of Poland near Lake Hancza. Taught by Paulina Wojciechowska and Jarema Dubiel. Cost: 150Pounds + food, possibility to stay longer to be a volunteer for another 4 or 5 days for an additional cost of £5 per day + the cost of food and accomodation. Children FREE. 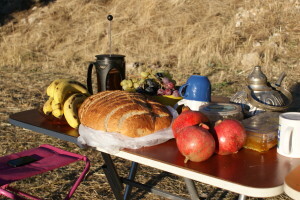 -food- possibility of cooking together for £6 per day for morning porridge, + lunch. The workshop will run from 10am on Tuesday 5th of August untill 6pm Wednesday. All participants are welcome to stay on as volunteers to work on the plastering and painting of the house. The workshop location is within 30 minutes drive of Suwalki and is served by trains from Warsaw, Poland and busses from Kaunas in Lithuania. Accommodation: there will be a large camping field for FREE or those people who have their own tent. This will be more than just a clay plastering workshop – it will be a wonderful opportunity to enjoy learning and relaxing amongst like minded people, some who may become your friends for life! This entry was posted in Past Workshop on June 30, 2014 by Paulina Wojciechowska.